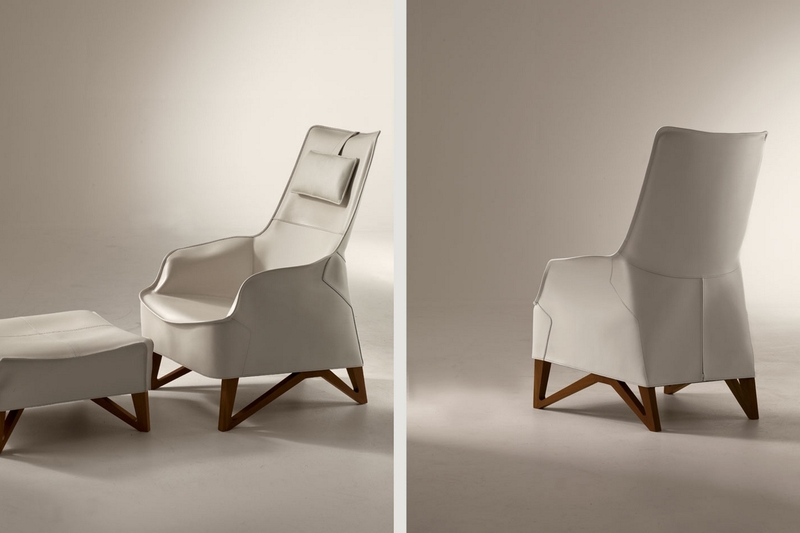 Mobius is a classic wing chair with the base frame in walnut canaletto wood. The padding of the seat and back, in birch plywood and profiled steel, is in flexible multi-density polyurethane covered in fibre. The saddle leather upholstery is completely removable. Stool with frame in multi-layer poplar wood and the feet in solid walnut canaletto wood. The padding in flexible multi-density polyurethane is covered with removable saddle leather.